Today we got to go visit Anastasia! We were told Thursday night that she can start to wear clothes since she's free of IVs and PICC lines. Thus we packed all the preemie clothing we have found here in Wyoming, which is 4 onesies and 1 pants outfit (anyone know where I can get preemie clothing?). I looked forward to dressing her up. But fate had other plans. Overnight her bilirubin went to 14.8, which means she was back under the bili lights and couldn't wear clothing. The APRN (they are pretty much doctors) stated how abnormal this is. I mentioned; how Heidi Anne was born yellow, spent 10 days in the NICU for it, and had to have sun therapy for a few days after she was released from the hospital. She decided that Anastasia needs her blood type found out because she could be a negative blood type, while I'm a positive. Meaning she could have some of my blood in her reeking havoc on her liver and red blood cells. They will also do a Coombs test which looks for an autoimmune disorder where the body attacks it's own blood. We should find out the results tomorrow. Sometimes a blood transfusion is all little babies need. However, if they can't figure it out she maybe transferred to Primary Children's. Also, her heart murmur isn't going away like it should be. They're going to start giving her Tylenol (yes, Tylenol) to help close her hole and try to avoid surgery. Despite all of this I was able to hold her for nearly 45 minutes. So worth it. I might be able to go down again tomorrow. Yeah!! Good news day! First, her bilirubin is back down! Secondly, her blood type came back (she is Positive) and her Coombs test came back negative. Which means she is free of an autoimmune disorder of the blood nor is there a bad blood mix going on. Third, she doesn't need a blood transfusion or to be transferred to Primary Children's. More good news, I went down again today, it's the first time since I left the hospital I've gotten to see her twice in a row. I drove from Wyoming all the way to the hospital all by myself. Char stayed home with the kiddos so we didn't have the 2 of them in the car for 3 hours or have to limit how long we spent with Anastasia due to antsy kids in the crowded waiting room. (NICU waiting rooms can be jam-packed on Saturdays). I got to hold her for nearly 2 hours which is the longest I've ever held her. She had adorable little hiccoughs today. They could lift her while body up and down as she let out a "Squeak" sound, over and over again. It was the most adorable hiccoughs I've ever seen or heard. Oh, she was able to wear her first outfit today!! This is a big preemie milestone. To be able to wear clothes shows you're IV, PICC line, ect. free. The nurses don't think she'll be in preemie clothing for long so they advised that we get newborn clothes she can grown into. But it's hard to think of her getting over 8 pounds when she's only 2.5 pounds. The nurse said that they have a supply of preemie clothes she can wear so we don't have to buy preemie clothing. Apparently, other NICU parents donate their preemie's clothing so other families can use them. I think that's super sweet. I forgot to tell this story yesterday. To be honest, I worry if Anastasia will get enough cuddles once she's bigger. Right now, it's not to big of an issue. Well yesterday a baby in the NICU was being super fussy. After a few minutes the baby stopped crying. I figured the baby had put itself to sleep. I looked for the nurse to tell her an issue I had was fixed. I found her in a chair holding the previously fussy baby, cuddling and talking in a soothing voice to it. That little act has eased my worries about wither or not Anastasia will be tended to when she's a tad older. I'm falling in love with these NICU nurses! I just saw Anastasia on the web cam, they put a hot pink bow in her hair to match her outfit. I am in love with the NICU nurses. They do these sweet little things while caring for all of these critical care babies. Anastasia made some amazing progress as of last night. (I swear changes only happen at night). She now weighs more than her birth weight (she was at 1020 grams and today she's 1050 grams). Hooray for reaching a milestone! She also went from using 3 liters of oxygen down to 2.5 liters and 21% O2 (which is room air levels). It shows she doesn't need quite so much help with her breathing. Yeah for another milestone! That's what we like to see Tiny Anastasia! Everyone keep up the prayers / good vibes / positive thoughts, they seem to be working for our feisty baby girl. It's a miracle she's doing so well, given how early she is. I can't wait to see Anastasia tomorrow. I really miss her. The webcam helps, sometimes I pretend they're normal baby monitors and she's just in another room in the house versus being over an hour away. I just want to hold and cuddle my feisty, Tiny Anastasia. This little trick helps me to focus on Rory and Heidi Anne (who really need my attention right now). Do you ever just feel so overwhelmed you feel like you're drowning? That's how I felt all tonight. I don't know why but everything seemed to get be down or I felt like I was ignoring one kid to tend to the other all the while Anastasia is 70 miles away. Rory is like a moth to the flame with the computer. He seemed to wake up in love with the laptop this morning. I can no longer sit on the sofa and type away while he contently plays on the floor. Now it's a game of keep away and furiously typing once he's asleep or napping. Today we got to go visit Anastasia. She's made it out of the mirco-preemie diapers and have in just preemie ones. The preemie ones are still a tad big for her. 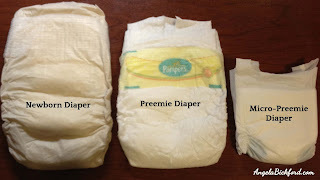 I found a picture on Google that shows the differences between diapers very well. Today she had a bath and she was wearing one of the preemie outfits I brought. It swallowed her whole. Seriously, it drowned her. I got to cuddle her for nearly two hours again. Today was a good, no news is good news type day. I'll take it, as those are rare in the NICU. Meanwhile, Rory had fun in the waiting room, playing nicely and then suddenly trying to make a break for freedom. Char captured this funny picture of him heading for a random exit. This was one of those hiccoughs, yo-yo days. The morning started out as good as can be expected. Then later in the morning I did my normal check in call. That's when I was told that Anastasia's belly was enlarged and causing even more apnea episodes and bradycardia spells. No one knew what was causing the enlargement. But a x-ray had been ordered to see if the could find any damage or what the cause could be. (It's only like her 6th x-ray). When things like this happen to her I can't help but go to worst case scenario. So help combat that I kept calling though out the day just to be told that the x-ray hadn't been taken yet but she was still having the episodes. Which didn't have the calming effect I was hoping for. So I turned to Dr. Google (big mistake). If I wasn't a bundle of nerves before, I sure was now. Finally, in the evening I got some results. Her x-rays had shown that she was having issues digesting her food, they figured it's due to the new fortifier that was started yesterday but they will stop both the Prolacta (the fortifier she's been on nearly since the day she was born) and the Simulac (the new one they think is causing the issue). The doctors aren't going to give her the fortifiers for a few days. They are increasing her caffeine to help with the apnea and bradycardia. Lastly, she'll be given calcium to help with her bone development. So long story short, I should stay away from Dr. Google on days like this, because the "what could be's" are more terrifying then "what it really is." Today just Char and I went to the NICU to see our Tiny Baby Girl. We haven't been back in the NICU at the same time since I was in the hospital. Thanks to my friend, Amber, who watched Rory for us. For some reason I always seem to get nervous on the mornings of NICU visits. I always worry something bad may have happened at night, or I'll make this long drive just to find out we can't hold her, or despairing news is waiting for me in the NICU. 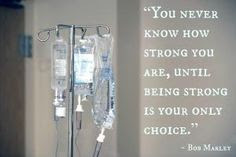 For some unknown reason I feel like I can handle bad news over the phone and at home better then I would in the NICU. We just got back from our little visit. Char got lots of pictures of her to share (his pictures always turn out better then mine). Today was a good-ish day. One of Anastasia's heart murmurs is closing but it could be pinching the aorta in the process. We won't know for sure that's the case until tomorrow when she get another echocardiogram. The nurse even made a note for the techs what they should be looking for and where (just as a gentle reminder). 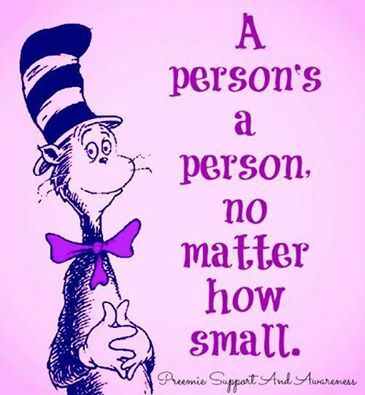 I adore the NICU nurses. The doctors are worried about her lack of growth, they are going to put her back on the Prolacta. They aren't doing the Simulac just yet, but probably they will in a day or 2. They will monitor her stomach real closely to make sure we don't have a repeat of yesterday. I pray she just suddenly figures it out and can digest and not forget to breath, so she can start growing by leaps and bounds. The plan was for me to hold Anastasia for about an hour and then hand her off to Char so he could hold her for awhile. Instead, I held her for the whole time we could hold her. I didn't mean to be greedy, I loose track of time when I get to cuddle my tiny baby. Hours seem like minutes. I just tell her about her siblings, what they're up to, how pretty she is, to keep being my feisty girl. Sometimes I sing church hymns, children's songs, any song I know. Anything that will let her hear my voice. I really need to start bringing books tom read to her. I was thinking Dr. Suesse books and our Eric Carle books. Char suggested I record myself reading so they can play it for her since we can't visit everyday. Today they were moving beds (isoletts) around to make room for a new code system. Which means we won't have the webcam back up for a day or two. Translation, I'm pretty sure I'm going back down tomorrow to get my Anastasia fix. P.S Today is Rory's 1st birthday! We're going to celebrate it tonight. I never would have thought I'd have Irish Twins. If you had told me this time last year that I would already have another baby, I would have laughed and called you crazy. Now who's the crazy one? Hint: ( It's the person writing this). NICU Journey Week 2 - Got to Hold Anastasia! !